Thank you for helping MAP save lives. Many of our supporters select "Where Needed Most" as this allows MAP to respond to as many people as possible. MAP International (EIN: 36-2586390), one of America's top charities, is a tax-exempt organization under Section 501(c)(3) of the Internal Revenue Code. Your gift to MAP are fully tax-deductible as permitted by the law. Daniel de los Reyes of the Zac Brown Band and DayGLOW Music has this special message for MAP supporters. Six months after Hurricane Maria devastated Puerto Rico and Dominica, more than 100,000 people remain without power, clean water is still unavailable to many, and numerous clinics only operate a few hours a day using generators. For victims of Maria, MAP International has continued to supply critically-needed antibiotics, bronchodilators, hypertension medicines, analgesic medicine, water filters, and hygiene items such as antiseptic wipes, soap for hand-washing and other basic disease prevention measures. Over $1.1 million in medical relief supplies last November 2 to support people being served by clinics and hospitals. In December MAP sent four 40 foot containers full of antibiotics, oral rehydration therapy, fever reducers, decongestants, bandages, ointments, and water filters. Three additional 40 foot containers of OTC medicines, water filters, Disaster Health Kits and reconstruction supplies will ship this week to our partner, World Hope to distribute immediately. 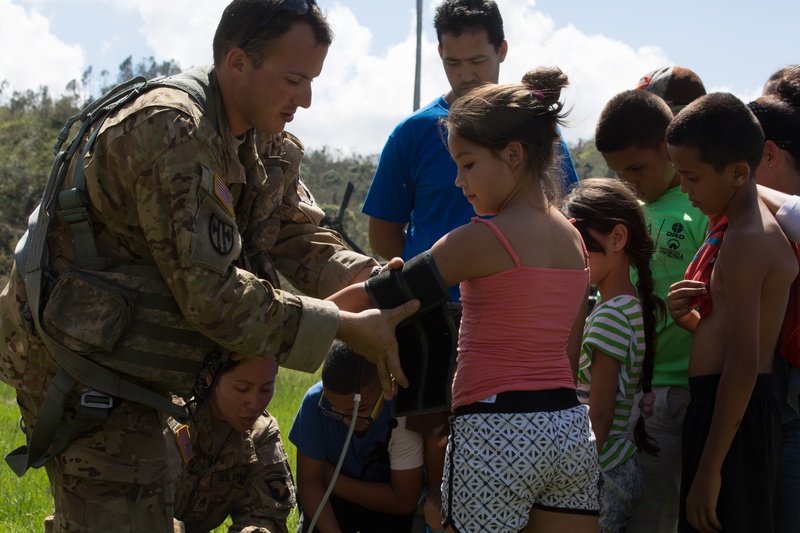 Additionally, MAP International has equipped medical mission teams with its portable Medical Mission Packs to reach rural areas of Puerto Rico. MAP has sent more than $200,000 in medical relief through Mission Packs, MAP Disaster Health Kits, and Johnson & Johnson Medical Mission Packs. Each Medical Mission pack contains analgesics, protective gloves, eye drops, gauze pads and are among 27 health items designed to treat injuries and prevent the spread of disease. MAP International's Disaster Response Team remains committed to saving lives and restoring health and is constant contact with partners on the ground. Much more aid is needed to help the residents of Puerto Rico and the healthcare workers who serve them.